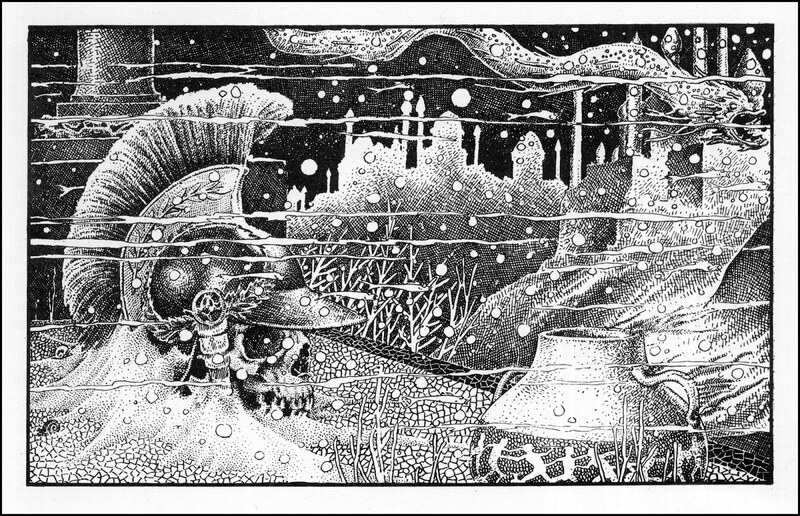 I jes' love seeing texture in an ink drawing, and very few are better at texture in ink drawings than Virgil Finlay was, in pulps and other venues, such as The American Weekly. love his stuff! 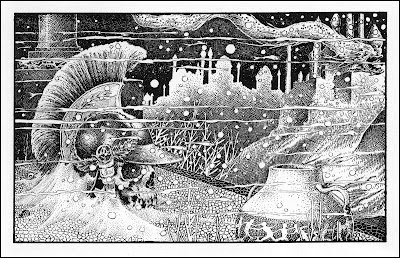 i recall a time many moons ago when i was interested in emulating a pen and ink style akin to his...but then i decided i wanted to finish more than 6 pictures in my entire life! how he did what he did and in such quantities is beyond me! great post! I am posting these images with a non-profit and educational 'fair use' motive, regarding respective copyrights. Anyone downloading and using these images for any commercial use would be in violation of respective copyrights, and does not have my approval for such use. My name is Thom Buchanan. I'm an artist and photographer. People are my favorite subjects to portray in art and photos. My wife (and studio partner) has called that my 'people skills', as I've been passionately creating portrait studies for many years. I refer to myself as a pictorialist, a combination of image-making and journalist. Images are my life. I intend to share many of my pictorial treasures, some not terribly rare, but terribly meaningful to me. I like to zoom in on details along the way and share what has inspired me in my career as an artist. And I would like to examine the value of pictorial images, not in terms of money, but in degrees of imagination. 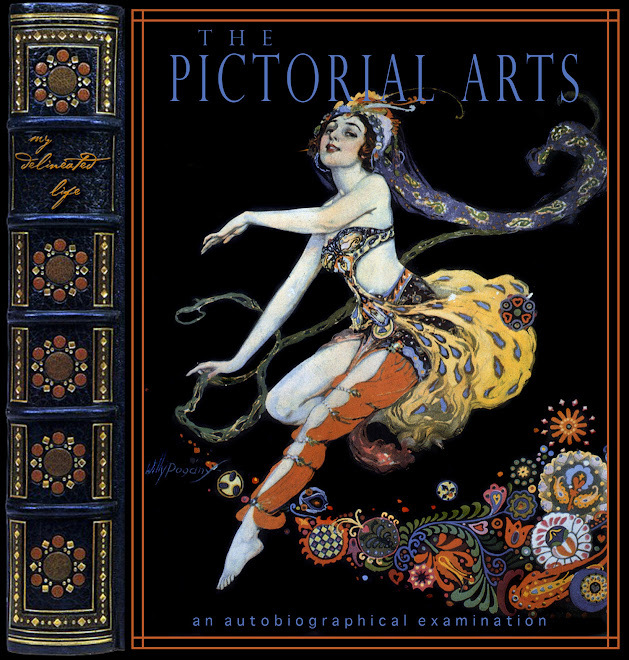 I refer to myself as a pictorialist, not just in my set of skills, but in my lifelong appreciation of the skills and talents of artists, illustrators, cartoonists, sculptors, photographers, typographers, and graphic designers. I'd like to share that appreciation with anyone who stumbles into my little world. It's a good little world! Kublai Khan reste silencieux, il réfléchit. Ty Templeton's Art Land » Saturday Early Afternoon Comics YAY! Moving to a New Blog!! Two-Fisted Tales of True-Life Weird Romance! ¡Momento que volví para decir que... esteeee... no me acuerdo...! Hitchcock - A Film Preservation, For The Love Of Film, Blogathon Post.